Nihal takes your calls and questions to the leader of the EDL, Tommy Robinson, who is live in the studio and Holby City star, Hari Dhillon, talks about his play, Disgraced. How do you feel about the EDL? After 10, Nihal speaks to the leader of the English Defence League Tommy Robinson. We've invited him on because his views and the actions of the organisation he leads have a direct affect on the lives of listeners to this station. We thought very carefully about inviting him on the station, but we think it's important that you get an opportunity to engage with him. I know some people will find what he has to say offensive, but this is your chance to challenge Tommy Robinson's views. You're welcome to call, text, email and join the dialogue. 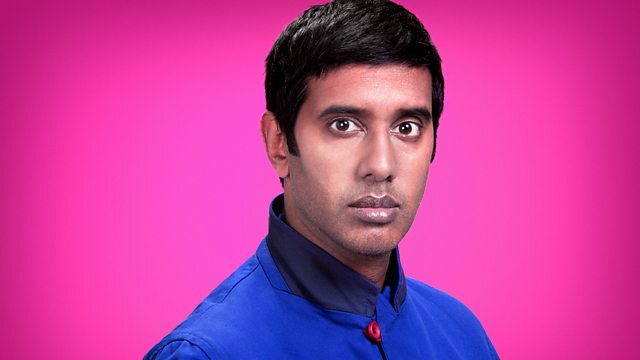 At 11, Holby City star, Hari Dhillon, will be in the studio with Nihal talking about his new theatre play 'Disgraced'. And after midday, Nihal speaks to Juz D and Notorious Jatt about their track 420, which is also, Nihal's track of the week.